Tag Games in Dundee have joined up with a top US games developer to produce Downton Abbey: Mysteries of the Manor. The Crawley family and their servants are stepping from the Edwardian era straight into the 21st Century thanks to a Dundee mobile games studio. Downton Abbey: Mysteries of the Manor has been launched by Tag Games and Activision Publishing of Santa Monica, California. The hidden object game is based on the multi-award-winning British drama series now in its sixth series on ITV. The mobile game is set in the abbey. Players take on the role of a private detective, hired by the Crawley family, to act as an undercover butler and unravel the mystery of why the family home has been ransacked. The player must explore 15 photo-realistic 3D rooms, interrogate 11 disingenuous characters from the TV series to unearth segments of the story and piece together the clues to crack the puzzle. 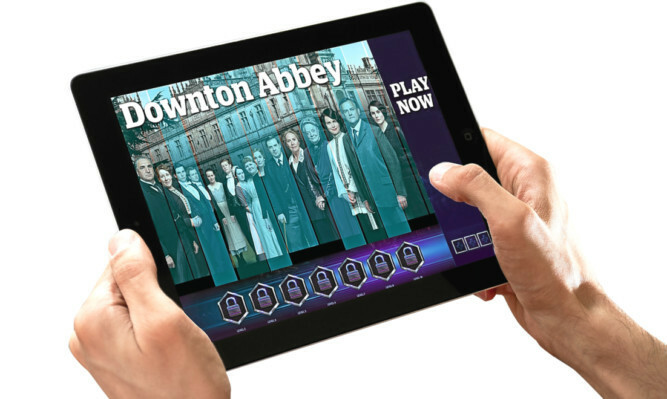 Paul Farley, chief executive of Tag Games, said: “We are delighted to have worked with Activision to bring the Downton Abbey world to life in a mobile game for the first time. The game utilises fully rendered 3D environments and comes packaged with Tag’s manager tool allowing players to download new content without having to reinstall the game. Downton Abbey: Mysteries of the Manor is available on iOS, Android and Kindle devices. Based in Dundee, Tag has been making mobile games since 2006 and is well established as a leader in the global mobile space. They work across a number of genres and business models and have heavily invested in free-to-play and games as a contracted service. Tag, based at Seabraes House, Greenmarket, has a staff of 44 in game design, production, marketing, programming and visual arts, and hopes to recruit more staff as it pursues more project contracts. The sixth season of Downton Abbey is running for eight episodes to end with a Christmas special concluding the phenomenally successful period drama. The show will receive a special award at this year’s International Emmys. The Academy will present the 2015 International Emmy Founders Award to writer and creator Julian Fellowes. The award is given to individuals whose creative accomplishments have contributed in some way to the quality of global television production.